Hi everyone, sorry for the late post! But here it is What's on my Bedside tables... Yes I have more than one so will basically tell you what's on them and then some most haves. Hope you enjoy! 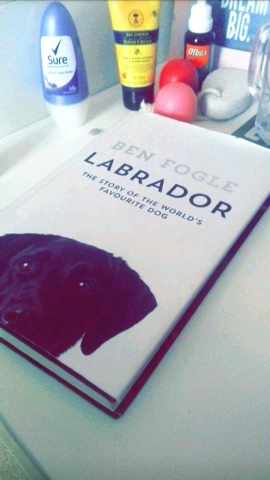 Books- I have some decoration books which I flick through once in a while which consist of makeup books, lush books, and a general book and also a book I'm actually reading and at the moment I'm reading Labrador by Ben Fogel! 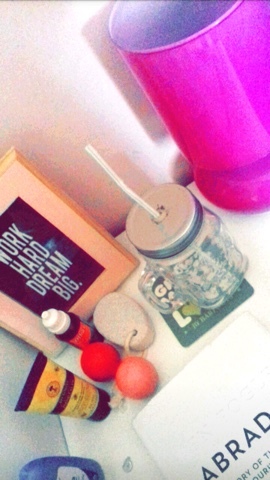 Mason jar glass- I LOVE having water bedside my as I always get thirsty... And a cute glass is a must! Lip balms- EOS- Gotta keep my lips hydrated in the chilly weather! Hand cream- Soft hands are important and they get dry in Autumn soo easily. Dream Journal- To record my dreams if I can remember them... But super cute and you should get one. Lamps- Dah to keep my room bright, ones from IKEA and the other is a lava lamp from ??? Notebook- To record any thoughts or things to remember. Candles- To make my room smell nice and feel cosy. Brush and hair tye- As I'm lazy in the morning and don't want to move at all! 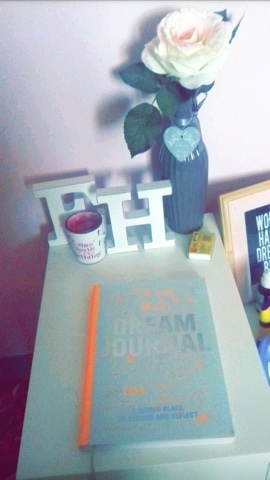 Frame with quote- Which says Work hard, Dream big.. Love this quote, this is hear for inspiration and it looks cute in my room. Vase and fake flowers- As if they were real I would kill them.. And I like pretty things. My initials in wood as I don't know it looks nice and it's a personal touch. Dry Shampoo- Again I'm lazy and I have greasy hair! Body sprays- So I can smell nice, Soap and Glory and Ted Baker. Memo board but not- So I can remember stuff and just put stuff in it, look at picture! Skincare box- That's where it is and its in a pretty box. My iPad- As its my life and I need it for the morning and all day everywhere, you get the point. Well that's it, hope you enjoyed, comment any Autumn post you want and I'll definitely do it.